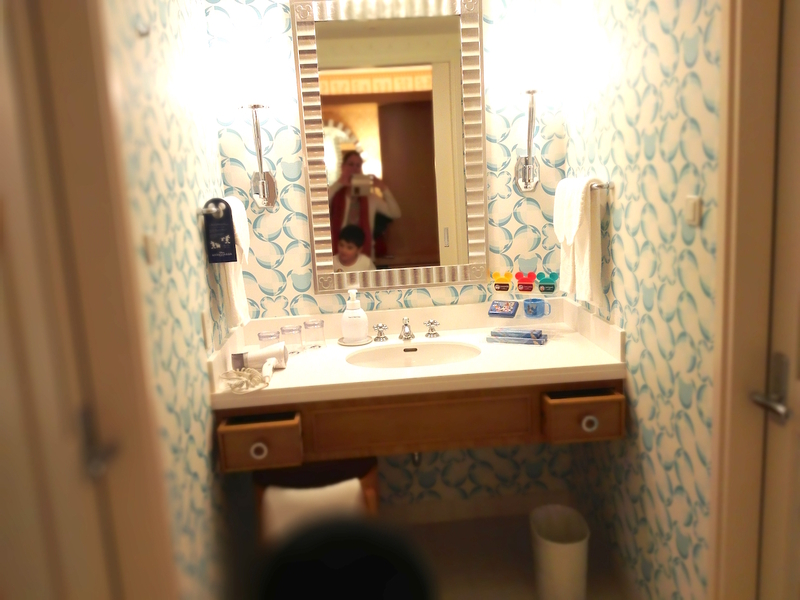 Well, I managed to survive a weekend at Tokyo Disney Resort during a typhoon! 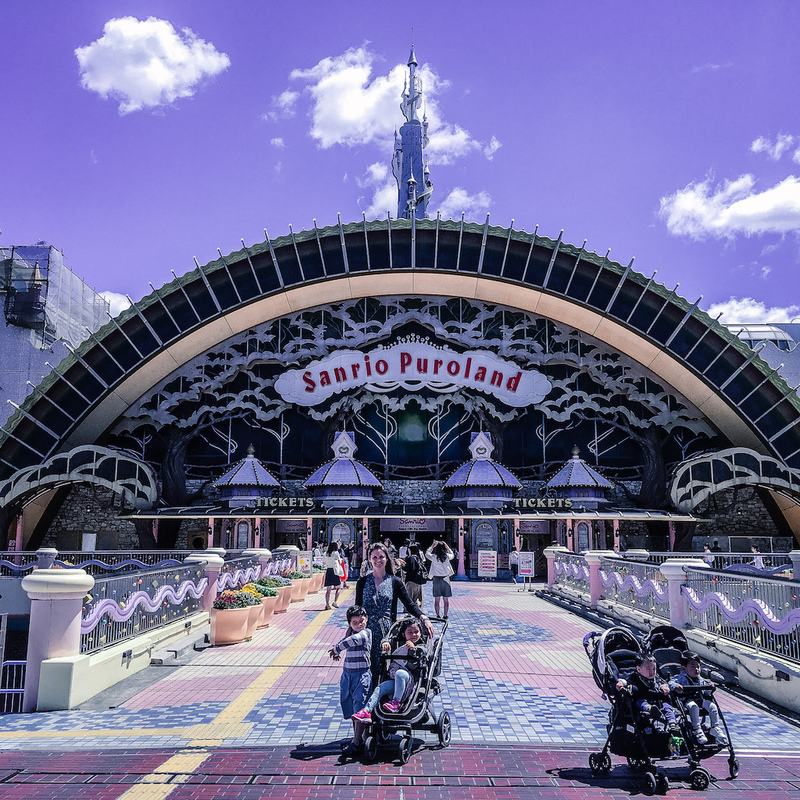 If you are like me and have booked your weekend at Tokyo Disneyland in advance, then you will know that you can’t control the weather so there is a chance that your trip may not go as planned. I suppose you could always try to cancel if there is stormy weather (and if you know in advance from the weather forecast), but in my case I went ahead with the weekend getaway even though it was rainy as a) It was my son’s birthday, b) It was Halloween which is a great time to go to Disneyland, and c) I was exhausted and desperate for a weekend getaway – rain, hail or shine! So this is a special post for those of you who find yourselves in a similar situation. 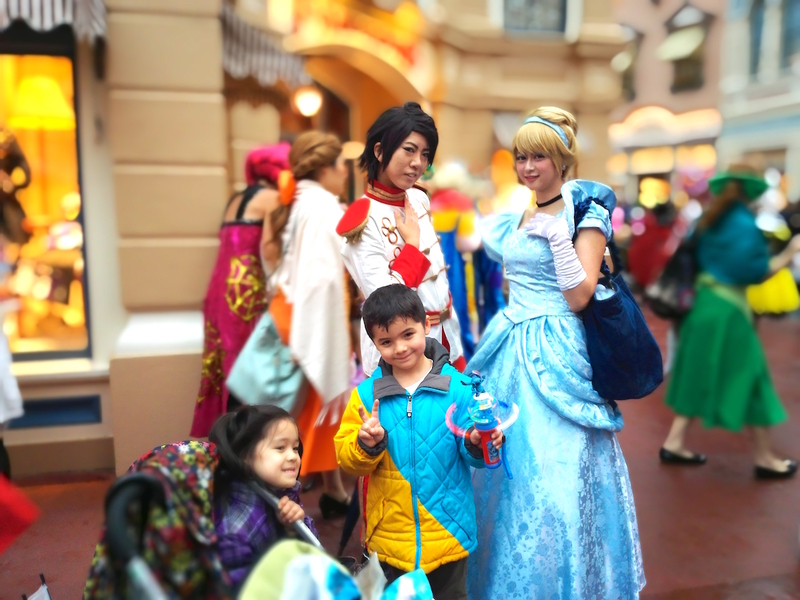 Conclusion first – it IS possible to enjoy Tokyo Disney Resort even in rainy weather! = easier to get a photo wth Mickey and all the Disney characters! 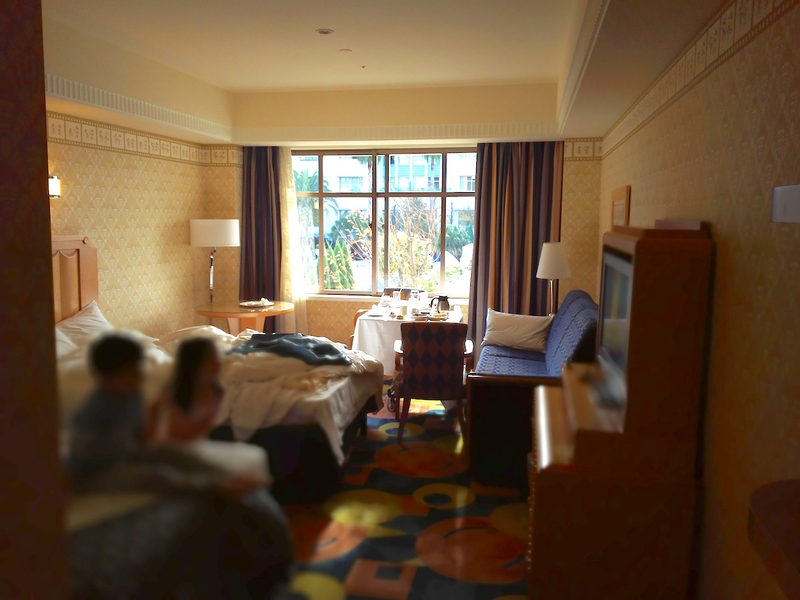 10am – Arrived Tokyo Disney Resort (Ambassador Hotel). 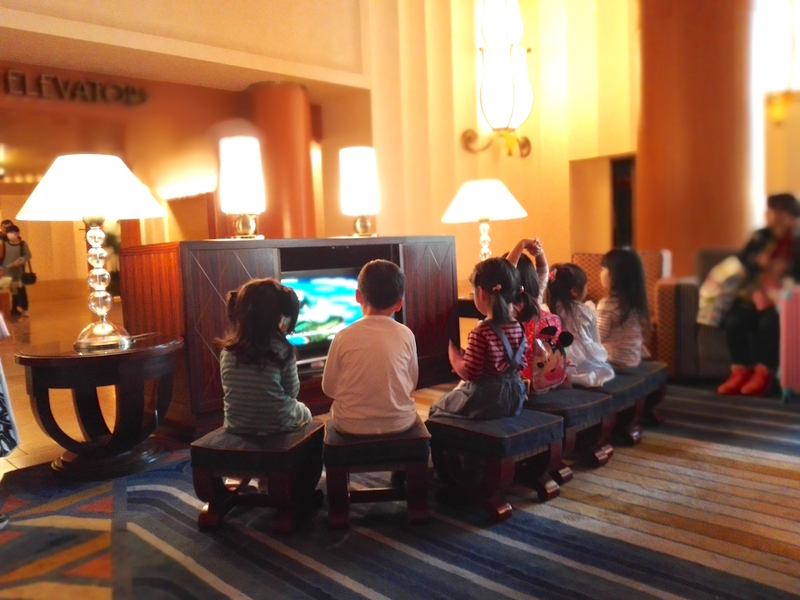 There was a super cute play area for the kids with Disney cartoons on the TV which my children LOVED! It was an immediate hit and also I extremely enjoyed sitting in the luxurious armchair while they had a rest. 11:30-13:00 – Disneyland. It was really torrential rain, so I only stayed for about 2 hours! But the kids had a great time in the undercover area, we bought some souvenirs, watched the marching band, took photos with all the people in costumes for Halloween, and got some snacks. 13:30 – Lunch at Rainforest Cafe restaurant near the hotel. I had wanted to have lunch at the Mickey restaurant, but I didn’t realize we need to reserve in advance! 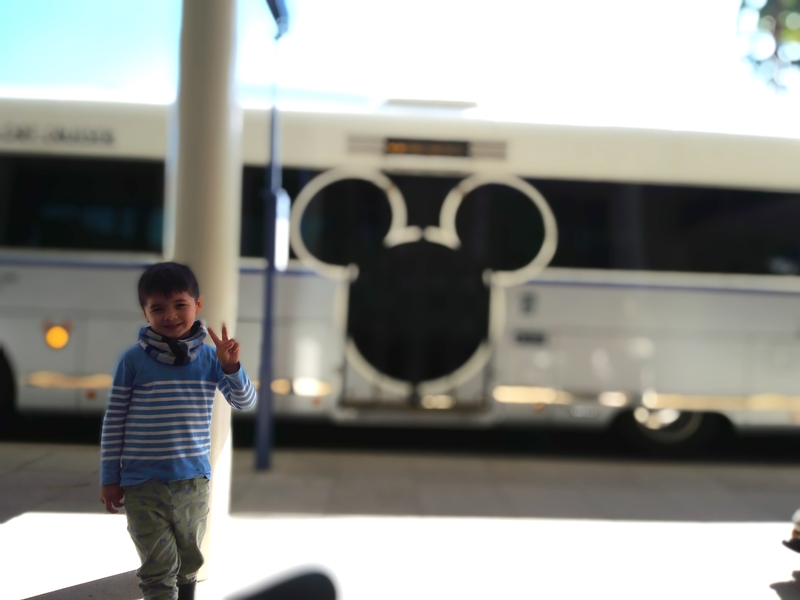 So this is a tip – make sure you reserve in advance if you want to go to the Mickey Mouse restaurant. 15:00 – Check-in, nice hot bath for the kids to warm up after being outside in the wet weather, and had fun watching cartoons on the TV. This was a wonderful time for me to relax! 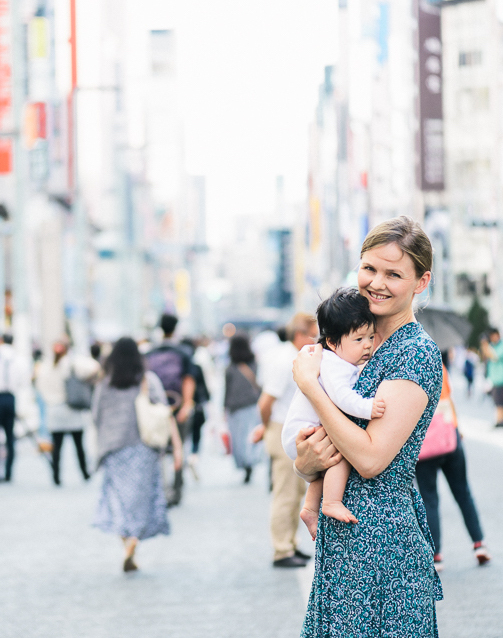 18:30 – Kids went to sleep early as they didn’t have a lunchtime nap. 7am – Room Service breakfast which I had arranged the night before. It was wonderful! It was such a great idea. The Chef Mickey restaurant was booked out, so I decided to treat us to room service so we could enjoy relaxing in our hotel room and enjoying a Mickey Mouse themed breakfast. It was delicious and completely stress-free. Highly recommend it! 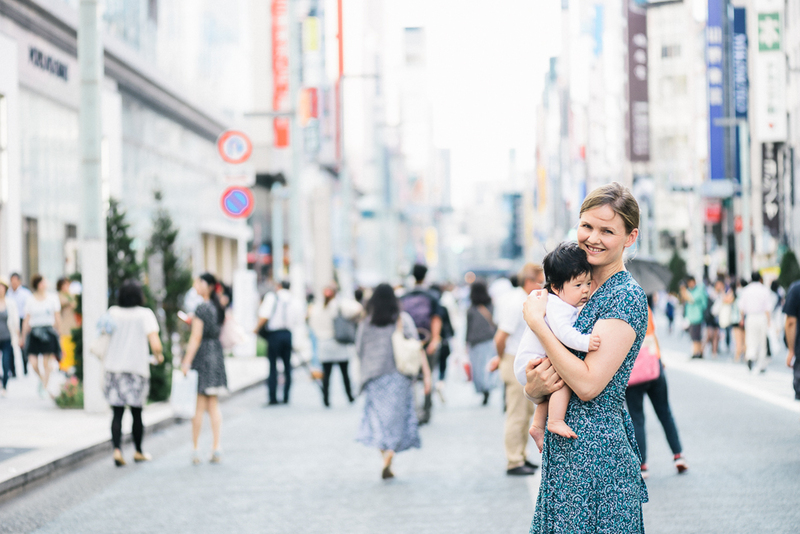 9am – Went downstairs to buy some snacks from the little convenience store that is next to the hotel check-in. We then went back to our hotel room as my son wanted to make some craft toys that he had received for his birthday. 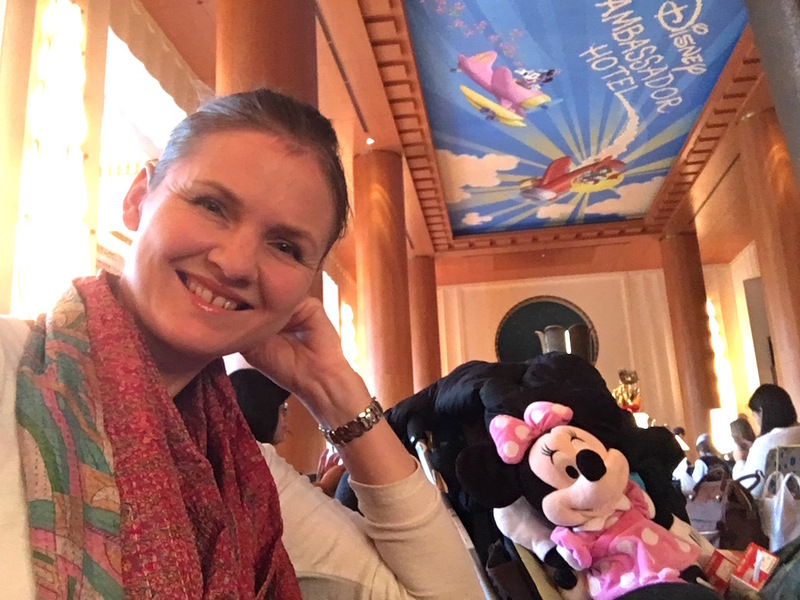 The hotel provides guests with early-entry passes to Disneyland and Disneysea, but I decided to let me kids rest and I really wanted to enjoy the hotel room more! 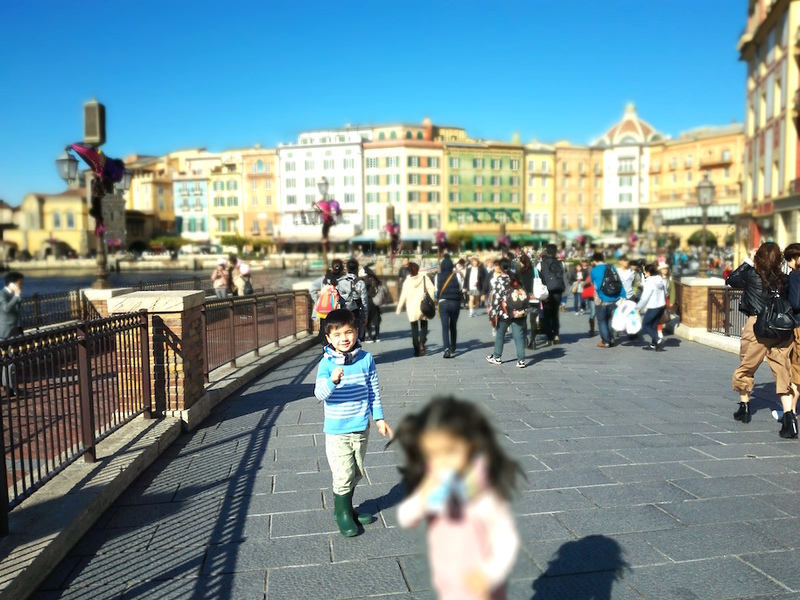 11:30am-1pm – DisneySea. 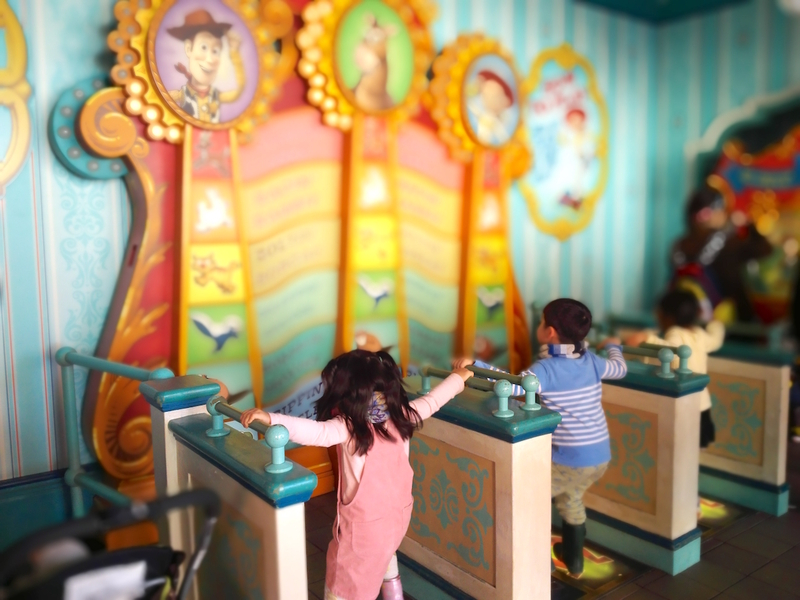 The parade was cancelled unfortunately due to the strong winds after the typhoon, so I let my kids run around looking at all the sites, we caught the little one-way train from the steam boat, and then played in the Toy Story themed area. 2pm – caught the shuttle bus back to the restaurant, and then caught the train home. 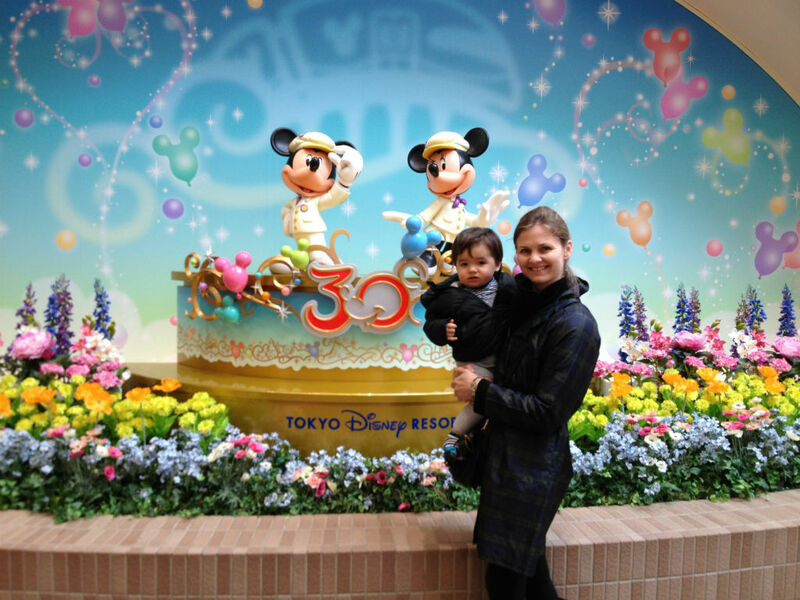 My biggest advice to have a wonderful trip at Tokyo Disney Resort in rainy weather is to be flexible. Take it easy and don’t worry! 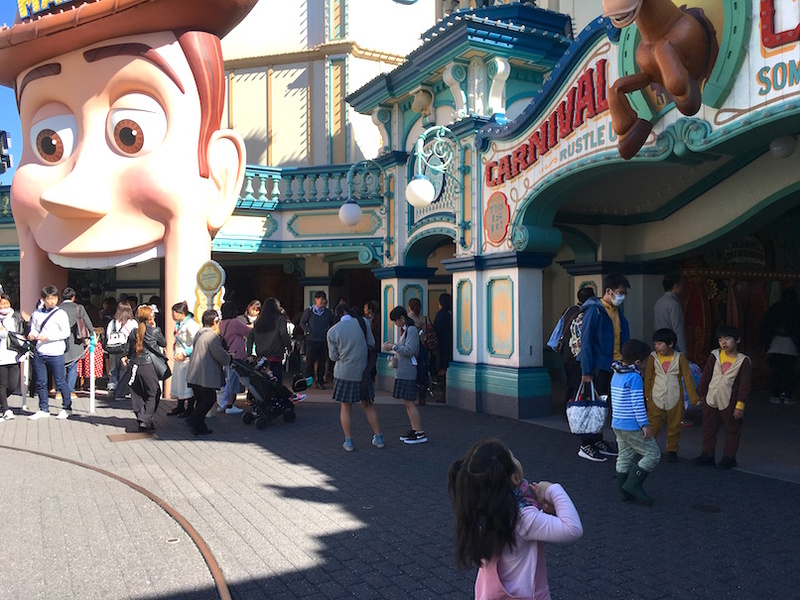 If something doesn’t go as you expected, try a different approach and I am sure you will find a great (if even better) option to enjoy your time at Tokyo Disneyland. Even if it is hanging out in the hotel until the weather improves! Tokyo Disneyland Halloween – we enjoyed walking around undercover and took lots of photos before heading back to the hotel. The typhoon rain was really heavy outside! But it was great to see everyone having so much fun. 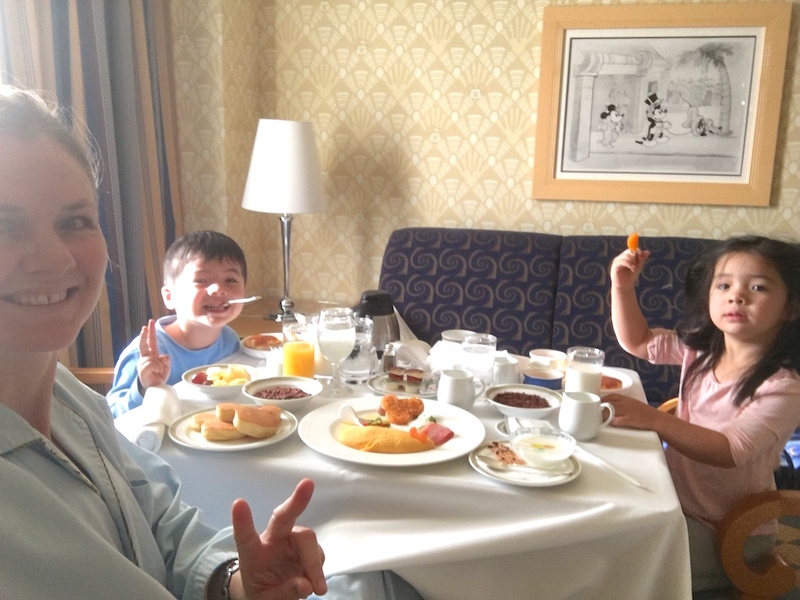 Room service for breakfast in the Tokyo Disney Ambassador Hotel – it was wonderful! 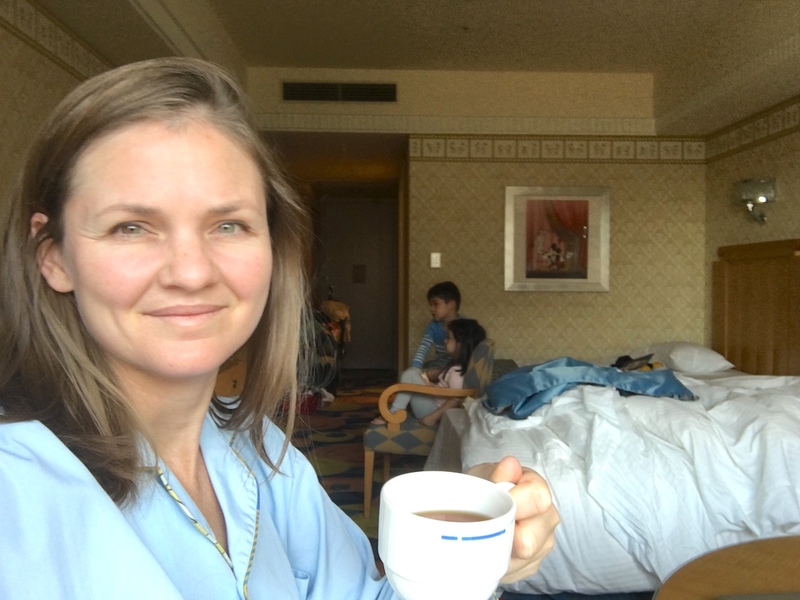 Enjoying a cup of tea while the kids watch Disney movies at Tokyo Disney Resort Ambassador Hotel – happy mummy! 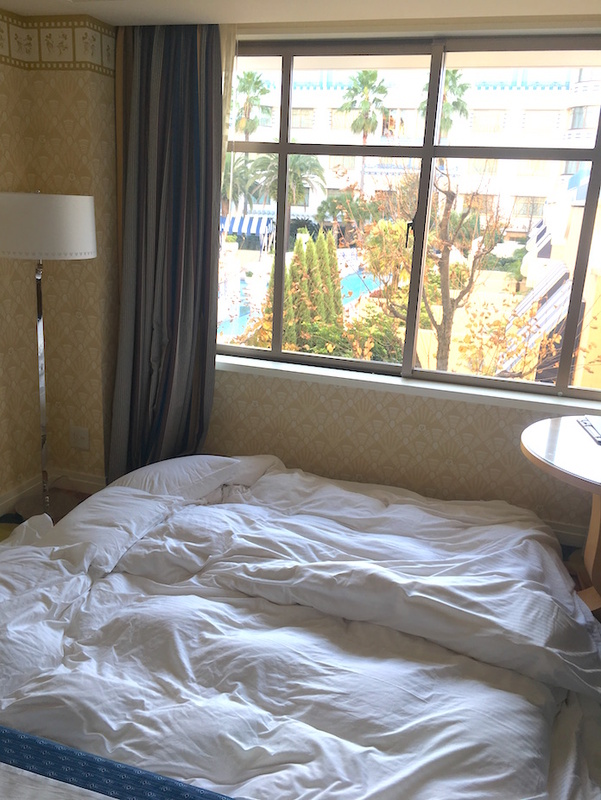 Tokyo Disney Resort Ambassador Hotel – I shifted the bed mattresses on the floor for my babies so they wouldn’t roll off. Our room window had a view of the inner swimming pool which was beautiful! 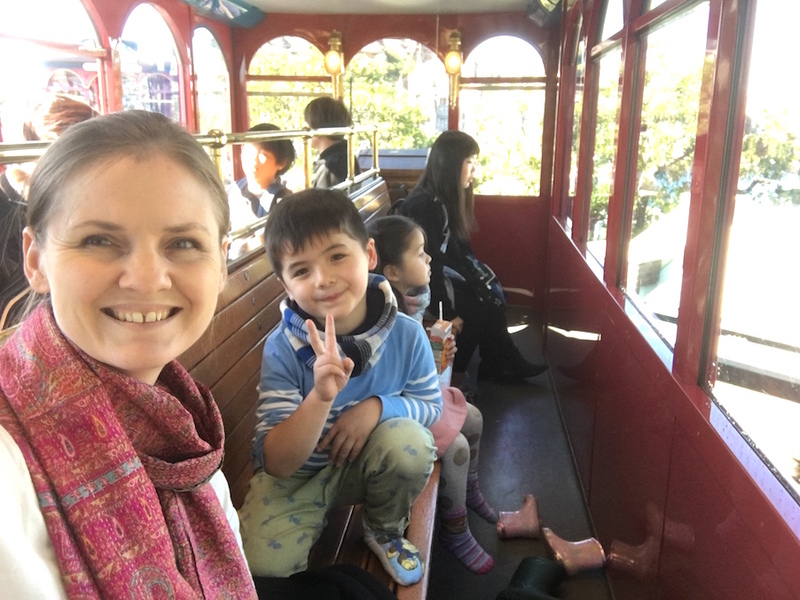 Tokyo Disney Resort – DisneySea electric railway is great! 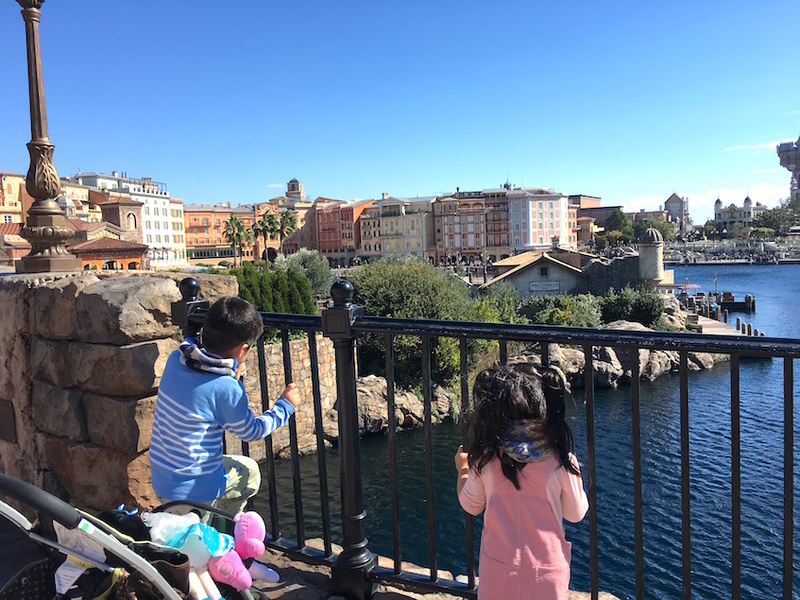 Tokyo Disney Resort – DisneySea view. It was a windy day but it was beautiful!